When it comes to a traditional in-ground burial, your family can choose between a city or private owned cemeteries. 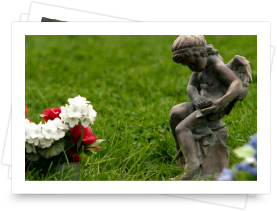 We'll walk you through the available locations and assist you in finding a cemetery that fits your needs, budget, and personal preferences. 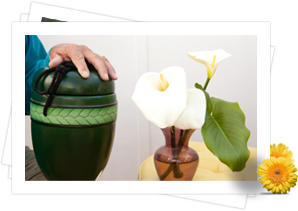 There are a ways to care for your loved one's cremains: Whether you decide to keep them within your home or lay them at your chosen cemetery; that will provide a quiet place for your family and friends to gather and feel connected to your loved one.